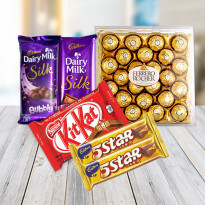 Online Bhai Dooj Gifts for Sister - Buy & Send Now! The siblings bond holds a special significance and Bhai Dooj is one of the best occasions that symbolizes brother-sister relationship. Celebrate this divine festival with our amazing online Bhai Dooj gifts. Present a wonderful gift to your sister to tell her that you truly love and care for her. 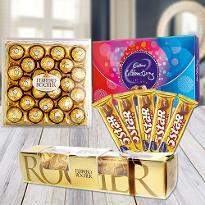 Winni provides a huge range of online Bhai Dooj gifts for sister so that you can easily shop for the best gift. 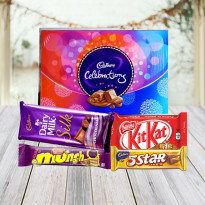 We have created a special category for Bhai Dooj gifts for sister. So, explore now and place your order online. 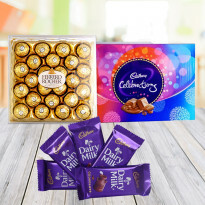 Send Bhai Dooj gift to surprise your sister now! Amongst the many traditions and rituals that India is popular for, Bhai Dooj or Bhau Bheej happens to be one of them. The festival glorifies the divine love between a brother and a sister. Regardless of its popularity in northern part of India, Bhai Dooj is commemorated cheerfully in other parts of India too. The festival may be recognized with distinct names in different regions of the country, however, the rituals remain the same. Sisters apply a tilak or teeka on the forehead of their brother and pray for the longevity and prosperity. 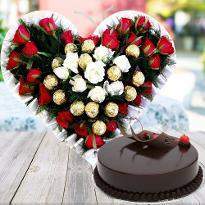 Brothers reciprocate their love by presenting wonderful gifts. Every sister loves to receive gifts from their brother. It is not absolute that hard to select a gift for sister that she would like. 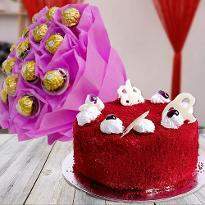 Most sisters like gifts that can sweeten their taste buds and can uplift their mood. 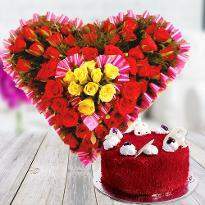 Cake and flowers are one such gift that has the ability to fulfill such kind of desires. 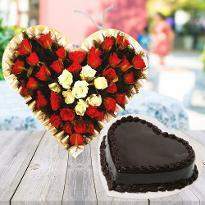 Gifts are the medium to convey adoration and emotions. The infuses sweetness in the brother-sister relationship. Enhance your relationship with your sister by presenting a wonderful Bhai Dooj gift to her. 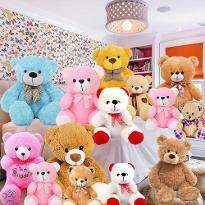 They are the magical weapons that can bring a huge smile on the face of your beloved sister. 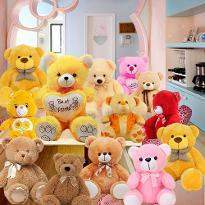 Select a gift that can convey your love to your sister amazingly. 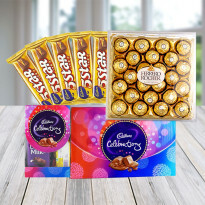 If you are looking for adorable Bhai Dooj gifts for sister then Winni is the right platform from where you can buy a gorgeous online Bhai Dooj Gifts for the sister. The relationship between brothers and sisters is entirely exclusive and special in its foundation and dynamics. Siblings share a sense of amicableness which is different from any other human relationship and usually defensive of one another. The bond between brothers and sisters grown with the passage of time. It's a gorgeous bond that remains stronger even after marriages and having separate families. This relationship is honored gracefully on Bhai Dooj. Basically, festivals reflect the tradition and culture of communities. Festivals act as a protector of the cultures and customs. Every society has their distinct traits and rituals and this distinction is easily visible in the festivals. Bhai Dooj is one of the traditional festivals which is commemorated immense pleasure among Indians. The festival is commemorated to honor the immortal bond that prevails between siblings. Brother-Sister relationship has been an object of appreciation for ages in many customs around the world and in India, it is praised at the occasion of Bhai Dooj. 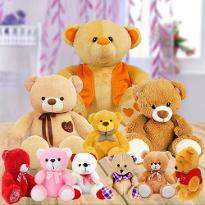 Bhai Dooj is the apt day on which you can surprise your cute sister by presenting a wonderful gift. 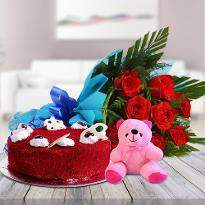 Order Bhai Dooj gifts for sister and send online to your sister's place. 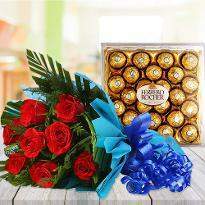 She will surely be astonished when she will receive a gift from you on the divine occasion of Bhai Dooj. 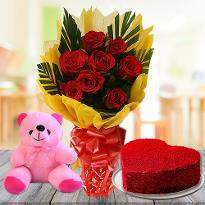 It's now easy to deliver warm wishes and love to dear one's doorstep due to the presence of online gift portals. 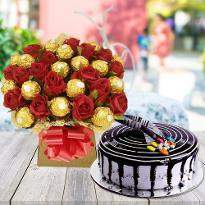 You can even send Bhai Dooj gifts for sister online in India from any part of the world. 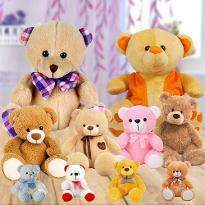 We at Winni understands that love between brothers and sisters are so pure and lovable. It's such a graceful bond that doesn't see geographical boundaries. 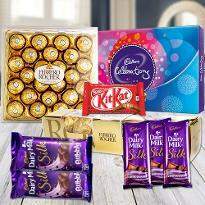 Therefore, we are providing online delivery of Bhai Dooj gifts for sisters. 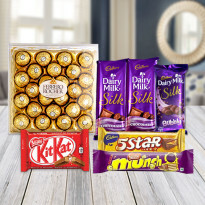 So, order and send Bhai Dooj gifts for sister from Winni. 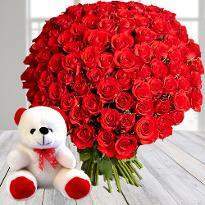 Your gift will surely be delivered to the doorstep of your sister. Festivals are the opportunity to strengthen the bond with loved ones. They also provide the chance to get-together with dear ones. So, it is good to commemorate festivals with great spirits. Bhai Dooj is one such festival which is purely dedicated for a brother-sister relationship. Therefore, it is vital to illuminate every festivity with higher spirits. Bhai Dooj festival is around the corner. So, illuminate this festival by presenting something unique and extravagant to your beloved sister. 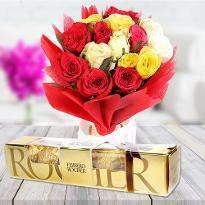 Order a wonderful gift online and give to her. 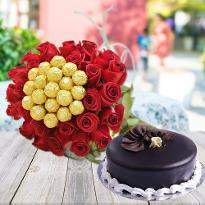 Our online gift delivery service will definitely add sparks to the celebration. 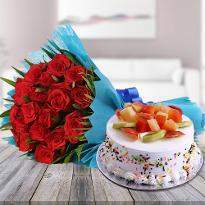 Winni also provides same-day delivery of Dooj gifts for sisters so that the essence of celebration doesn't get spoil due to a little mistake. 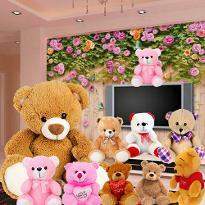 So, visit Winni and explore our huge collection of Bhai Dooj gifts for sister and place your order online for the desired one. Now, feel free and leave the rest work on us. You will definitely get a hassle-free delivery. 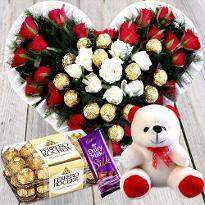 You can also go for midnight delivery, express delivery as well as early morning delivery. So, it's your choice when you want to get your gift delivered to your sister's doorstep. Winni will definitely deliver your emotions to your sister wrapped in the form of gifts. Products in this category have been rated 4.9 out of 5 based on <132 reviews.